The Summer of Safety program was developed to offer students a means of transportation during the summer months while school is out of session. Students can utilize this service to get out and visit family and friends, engage in recreational activities, grab a bite to eat or even take on a part-time job. Riders must be 12-18 years of age and have a valid Polk County School I.D. or present the Summer of Safety Pass to receive a FREE RIDE. This service is available from the last day of school until August 18. To obtain a Summer of Safety Pass, please contact Dave Walters, Marketing and Communications Manager at (863) 733-4203 or DWalters@ridecitrus.com. We thank New Beginnings High School for their funding of this program. 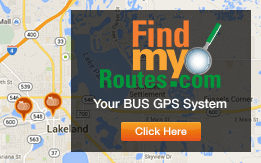 In 2017, the Lakeland Area Mass Transit District Board of Directors funded the program. We’d like to thank Polk County Sheriff’s Charities for their sponsorship of the 2016 program. We appreciate the support in our efforts to keep students safe and active during the summer.